For the last decade, we’ve been getting to know most of the Marvel super-heroes. In 2008, we met Iron Man (Robert Downey Jr.) when the comic book company Marvel decided to start making their own films with their own company, without the help of any other big studio. It was a massive success, which led to 17 more films that included a ton of more superheroes, including Thor, Hulk, Ant-Man, Captain America, Black Panther, Doctor Strange, and Guardians of the Galaxy.For the first few superhero films, we were introduced to their origins and character, which led to the first Avengers films. Needless to say, that first Avengers movie broke box office records at the time and put in motion a story arc that culminates into what we have today – ‘Avengers: Infinity War‘. If you remember the post-credit sequence from the first Avengers movie, we were introduced to a major villain named Thanos, who is set on the destruction of the universe. 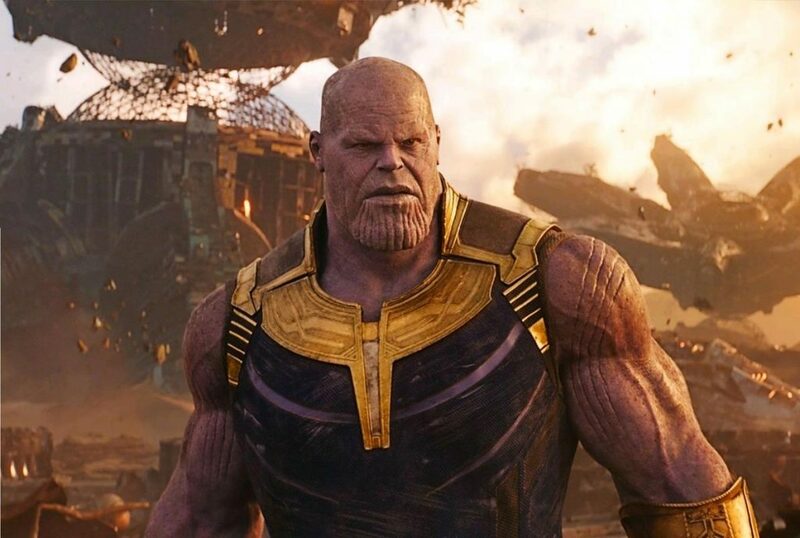 Since then, Thanos has been a background character as he put in motion a plan to retrieve all of the Infinity Stones, which would allow him to become omnipotent and be able to destroy and erase any and all life in the universe. This all comes to a head in ‘Avengers: Infinity War‘ with Anthony and Joe Russo (Captain America: Civil War) sitting in the director’s chair again. Running at 2.5 hours, the film flies by super fast with it’s quick pace and perfect plot that never goes off on a tangent. Almost every superhero we’ve seen in the past films come together to fight here, even the Guardians of the Galaxy team up with Iron Man, Thor, and Doctor Strange, which is as good as you’d expect it to be. With being free of all spoilers: this film shows Thanos and how powerful he is at the beginning, which sets him off to find the Infinity Stones across the galaxy – a couple of them being on Earth. When the Avengers find out about this, a few of them split off into teams to fight Thanos. A few fight in Wakanda, while some fight on Thanos’ home planet of Titan. The Russo’s do a fantastic job of weaving in every superhero to get their time to shine on screen and make their dialogue as witty and as emotional as it can be. Some of the entrances of each superhero are some of the best moments in the Marvel Cinematic Universe to date in this film. I’m not one for applause or letting out an audible praise during a movie, but myself along with the entire audience couldn’t help ourselves. That’s how impactful and amazing ‘Avengers: Infinity War‘ is. The film is just as emotional as it is funny, which is somewhat difficult to do for most filmmakers, but here – it’s all done flawlessly. 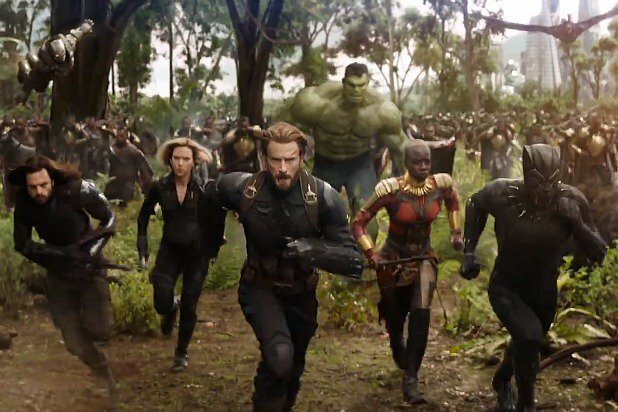 I’ll say this – ‘Avengers: Infinity War‘ is one of the darker installments in the Marvel Cinematic Universe, but it’s never over-done, but rather executed with elegance and love. Every actor has fully given themselves to each superhero role and just embodies the spirit and character with each scene. You don’t see the actor, but rather the character at all times. This is filmmaking on a grand scale at its finest. Film Review #2: ‘Avengers: Infinity War’! This entry was posted on Wednesday, April 25th, 2018 at 11:05 am	and is filed under Film, News. You can follow any responses to this entry through the RSS 2.0 feed. You can skip to the end and leave a response. Pinging is currently not allowed. « Film Review #2: ‘Avengers: Infinity War’!